I first heard about Shredz through my neighbor; he had been my workout partner and at the time would pull up workout videos of some of the Shredz athletes. 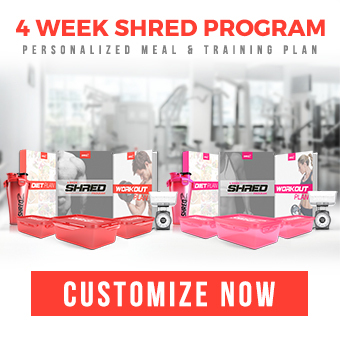 We started to incorporate some of the programs into our workouts and I later found myself hours deep into the research that led me to begin my Shredz journey. I began looking into the products, reading the reviews, watching the videos, checking out the athlete pages…it was just something I knew I wanted to be a part of. Through all of my hours of research, what attracted me most were the dozens of transformations I saw on the Shredz Instagram page. When I saw other people having such amazing results, I wanted that to be me. I was ready for a change and asked myself, why not ME? I loved the fact that it was about more than just selling a supplement. I sensed they wanted to help people succeed in their health and fitness goals. It wasn't just another company offering 100 different products, confusing me about what I needed. I loved that there were people that would spend time educating me on what was right for me and guiding me on how to take the products. I spent almost 2 hours the first night talking to Tim, a Shredz customer service rep, and not one time did he make me feel like he was tired of answering my questions. In fact, he went above and beyond to help me understand what products were right for me to maximize my results and succeed in my goals. That is when I knew that Shredz was more than a supplement company. I had taken products in the past, but mostly for the wrong reasons. The products I was taking seemed to work but I got to a point where I think it was mostly mental, because I was searching for a quick answer, which ultimately never came. I ordered the 30 Day Complete Weight Loss Stack initially. I decided this was the best route for me because of the time Tim spent helping guide me in making the best decision for me, with my goals in mind. He answered all the questions and explained what each product would do for me. He even spent time to educate me on the proper way to take the products to maximize my results. Over the first couple of weeks I started to notice a difference in my body and the way my clothes were fitting. I loved that the workout guide was easy to understand. The detail and explanation of the exercises were so helpful in making sure I didn't hurt myself, and I did the exercises in the right form for the best results. Shredz is a total system set up for success. I received a full program with exercise guides and nutrition tips to keep me pushing in the gym and kitchen. Making the right choices with my training and diet was easy with this program. The products work, the quality is first class, and their desire to help me change -- not just through taking a supplement but with proper diet and exercise -- is what made Shredz a life-changing experience for me! SHREDZ is FAMILY! I literally felt the products working within the first week. I literally felt a difference in my energy level and focus within a few days. I lost almost 10 pounds that week, which was awesome to say the least. The way the directions were laid out made it easy to follow. I thought I was going to be overwhelmed, but it was a actually a pretty easy system to follow. 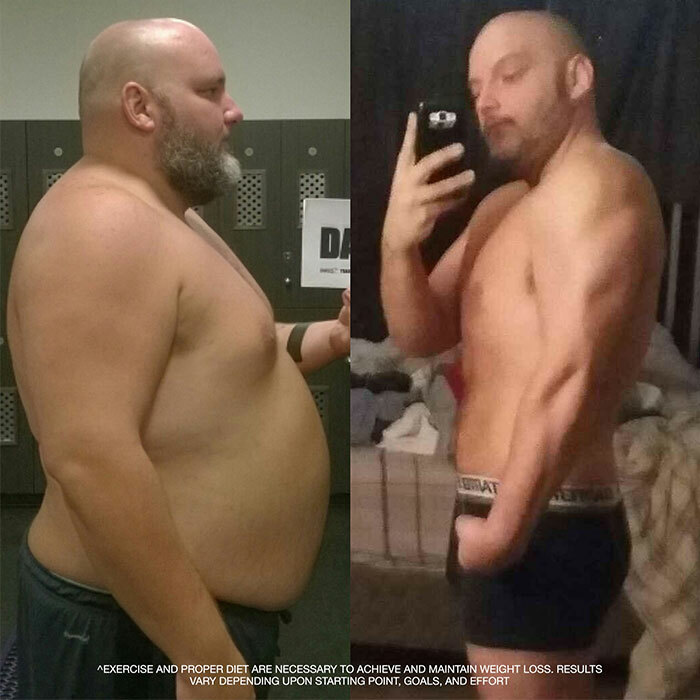 After experiencing such impressive results with the initial plan, I decided I would go ahead and get the Custom Meal Plan and Workout when that was released. All I can say about that is, AMAZING! Having a plan that is totally custom to me and my goals took my fitness and health to a level I didn't know existed. My coaches are always there to answer my questions and guide me on the program that they created for me. I get it adjusted each and every month, which was a recommendation and a great one at that. I notice I don't hit plateaus, and my results continue to amaze me. I've gotten stronger and leaner, which is awesome. 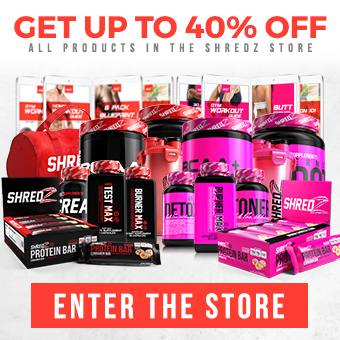 SHREDZ has played a HUGE role in adding years back to my life, and now my goal is to use those years to help as many people as I can add years back to their lives. I would most definitely share Shredz with my family and friends so they to can experience the same joy and life-changing experience I have and continue to have to this day. I know Shredz will change the lives of anyone who truly believes they can make a change, that trust the program, and stay consistent with it. My overall experience with Shredz has been life changing. It's so hard to put into words what Shredz has done for me. Not only the products, which of course helped me with my weight loss and lean muscle gains, but also the movement as a whole. Shredz feels like a family. You know, I was always a skeptic like most, thinking this was just like everything else out there. But then, I thought I would try it because I had nothing to lose, right? Well, Shredz gave me my life back.